After the thrill and excitement of your safari, there is nothing more welcoming than a few days relaxing at the tropical paradise of Zanzibar. Sip a cocktail with your feet in the sand. Read a book in the shade of a palm tree. And close your eyes while listening to the only sound of the waves rolling in. But don’t close them for too long! Whilst the long sandy beaches are definitely Zanzibar’s main attraction, the “Spice Island” has so much more to offer. Here are our Top 10 Things To Do at Zanzibar! 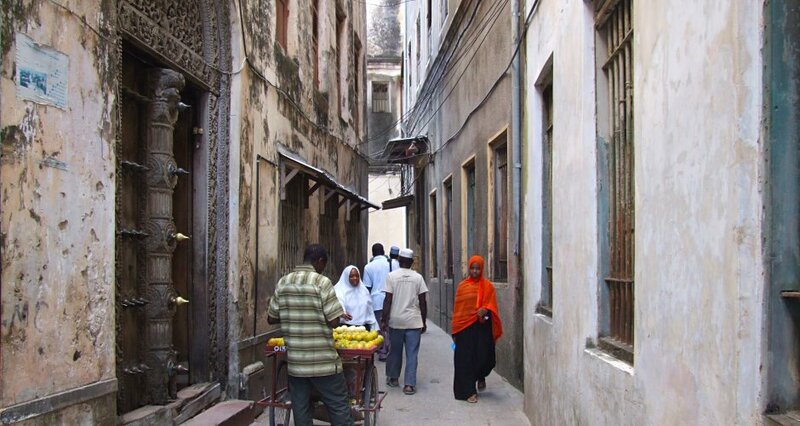 Stone Town is not only the capital of Zanzibar but also the heart and soul of the island. It is a colorful and bustling city, with old Arabic-style buildings, fascinating cathedrals and ancient churches. Wander through the winding alleys, find out what is behind the ornately carved doors and get lost in the town’s magic. There is so much to do and see in Stone Town that a short day trip visit from your beach resort might not be enough. Tip: Spend the first night of your beach extension in one of the cozy hotels in Stone Town to truly soak up the atmosphere and authentic culture. If you can’t get enough of observing wildlife, then a trip to Jozani Forest is definitely your thing. 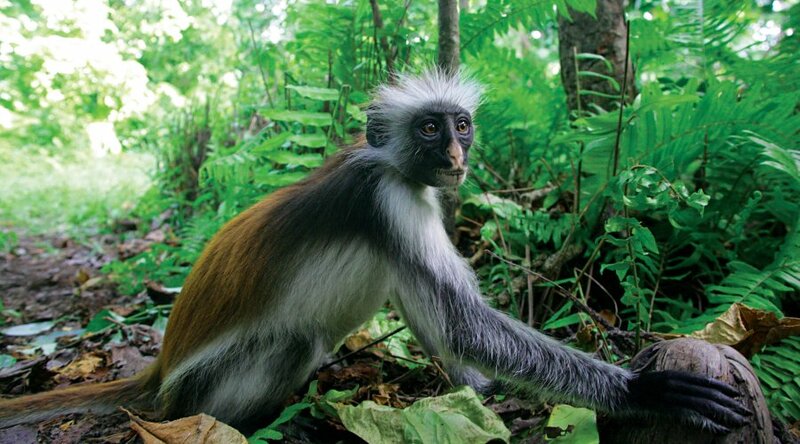 This rain forest is one of the last remaining reserves in the world and is inhabited by the Red Colobus Monkey, only found at Zanzibar. It was once an endangered species but thanks to the successful conservation projects, their numbers have grown. In fact, these monkeys are very social and will emerge from the trees to greet you. Other animals that you might spot during your tour are the Blue Sykes Monkey, bush pigs, duikers, chameleons and many species of birds and butterflies. Tip: Visit Jozani Forest early in the morning which is the best time to see its wildlife and less of other tourists. The Rock Restaurant is not just a place to eat, it is a unique experience that is well known across the entire country. 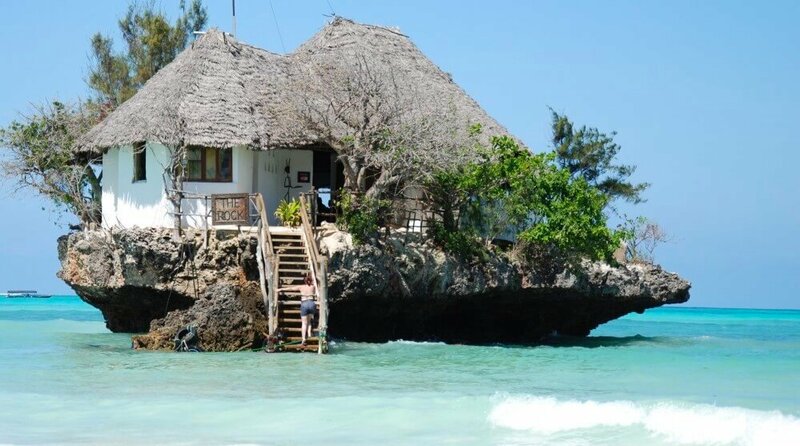 The restaurant is located on a rock in the middle of the Indian Ocean, just off the south-east coast, with magnificent views of the island. Fine dining awaits you with some of the best seafood served on Zanzibar. During high tide the restaurant can only be reached by boat. Tip: Book early as this exclusive restaurant only has 12 tables. Alternatively, you can also just come for a drink and enjoy a romantic evening under the African sky. Although very much a tourist oriented activity, the Spice Tour is definitely worthwhile. It is a fascinating excursion as it gives you an insight into the local life, and it highlights a different part of the island’s history. You will visit a spice plantation which once contributed to Zanzibar’s flourishing industry. From here, spices were exported to Asia and South America. 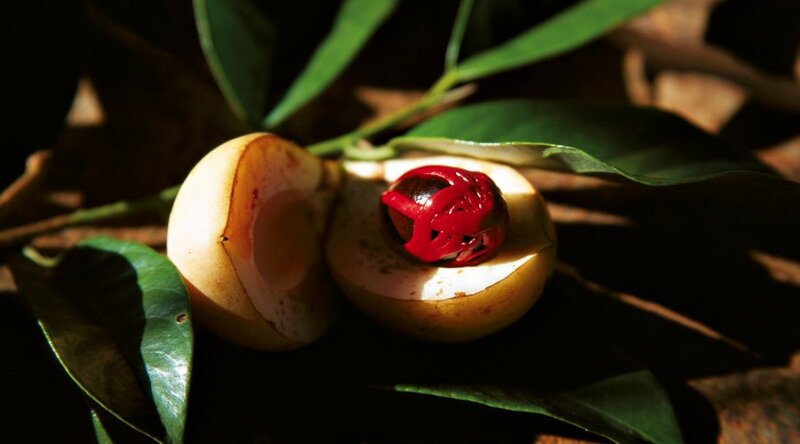 During your walk you will be able to smell, taste, touch and guess various spices such as nutmeg, cloves, vanilla, as well as different types of fruits. Your guide will tell you all about their origins and use. And why not try to harvest a coconut yourself? You still might be impressed with the Big 5 that you have seen during your safari. 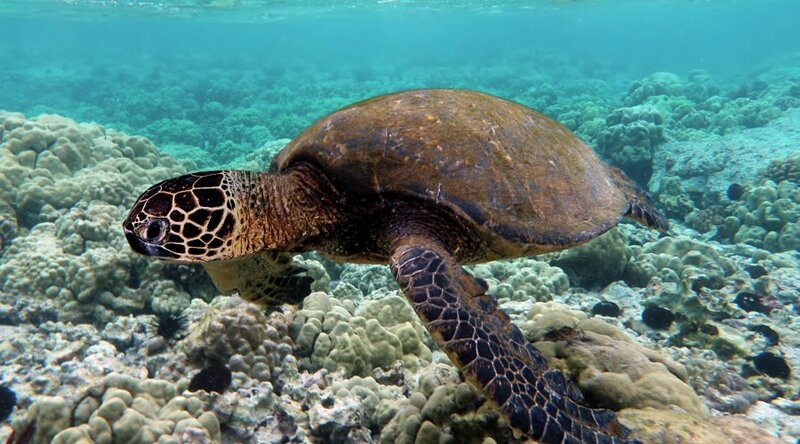 But the marine life can be quite mesmerizing too! Mnemba Island is a coral atoll about 3 km off the north-east coast and has recently been declared a marine conservation area. It is surrounded by thriving, vibrant reefs and beautiful marine life such as yellow snappers, barracuda, eels and many more. Dive or snorkel in the crystal clear waters of the Indian Ocean and discover the colorful coral, tropical reef fish and green turtles. There are even good chances of spotting dolphins on your way to the island! One of our most favorite excursions is the full day Safari Blue Tour. 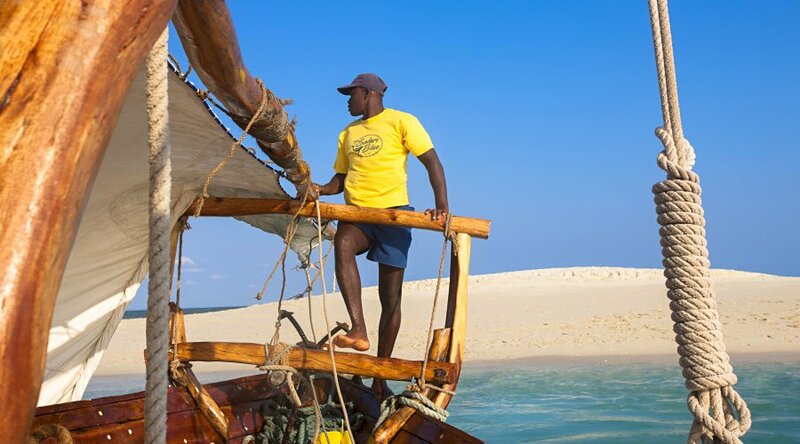 The trip starts from Fumba Peninsula and offers a wonderful combination of sailing, snorkeling and relaxing at the beach. The boat will navigate to various beautiful snorkeling sites, you will swim in the warm waters of a mangrove lagoon and enjoy a delicious seafood barbecue at a sand bank in the ocean. During this tour you may even catch sight of dolphins! Tip: wear shorts and water shoes as you may have to wade your way to the boat. 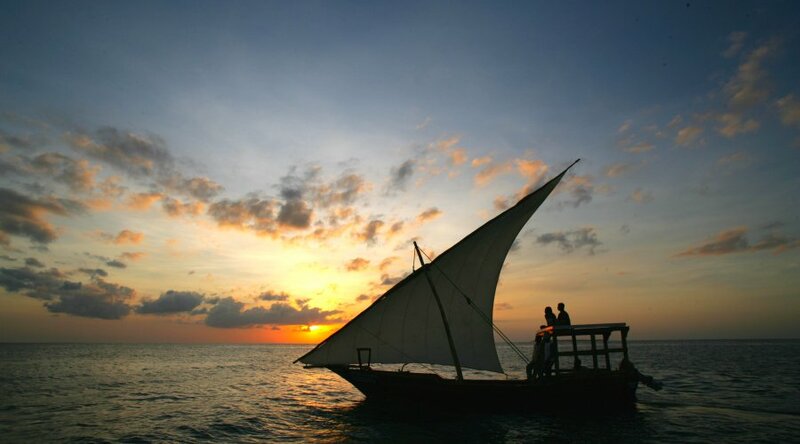 Unwind at a magical sunset on a traditional dhow sailing boat. As you sail slowly towards the horizon, a gentle breeze will caress your face and makes you feel completely calm. Simply enjoy the turquoise, clean waters, lie back and sip a cool drink while watching the sun set over the ocean. Another perfect ending to a great day! Chumbe Island Coral Park is an award-winning private nature reserve located just a short boat ride away from the main island of Zanzibar. It offers one of the most spectacular ‘coral gardens’ in the world, holding 90% of the coral diversity found in East Africa. Snorkeling in the Coral Reef Sanctuary is a fantastic experience witch chances of meeting bathfish, parrotfish and hawksbill turtles. Moreover, during your visit you can take a nature walk through the forest reserve that harbors rare wildlife like the Ader’s Duiker and Coconut crabs. Or climb the Chumbe Lighthouse, built by the Sultan of Zanzibar in 1904, and enjoy spectacular views of the clear blue sea between Zanzibar and the mainland. Tip: Want to enjoy the stunning natural wilderness a bit longer? Then spend the night in one of the seven stunning eco-bungalows. A unique “Robinson Crusoe” experience! 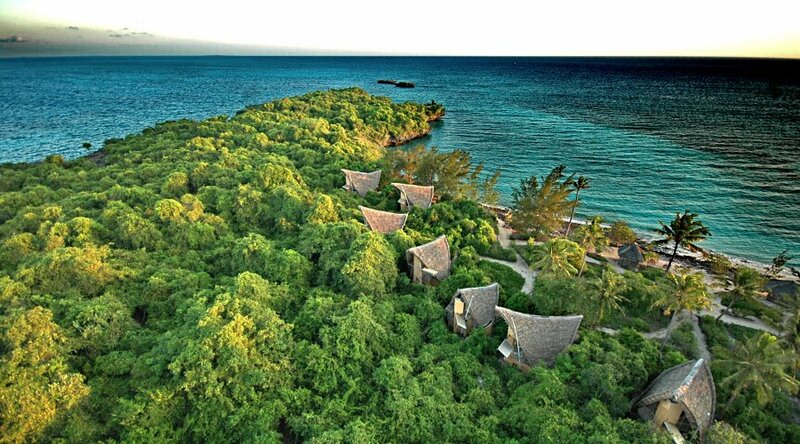 Zanzibar is not only a romantic destination for honeymooners or couples, it is ideal for families with children. The wide sandy beaches and warm waters form the perfect ingredients for a family holiday. Some hotels offer special entertainment for children. But why not go out and have a great time together with your child. 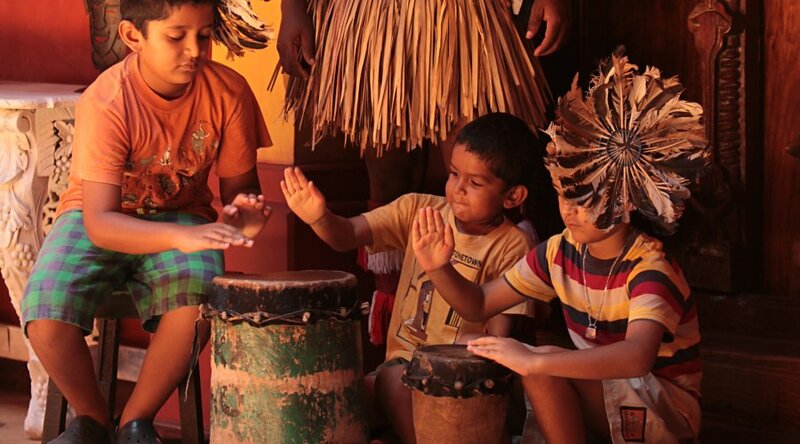 Imagine the fun while learning the ancient Zanzibari art of drumming. Or let them paint in the traditional style called “Tinga Tinga” where a local artist will lead them step by step through the process of creating an ethnic Tanzanian style of art. Undoubtedly a new talent will be discovered! Want to really taste Zanzibar? Then join a (half) day cooking course. The Zanzibar kitchen has many surprises thanks to its mix of Indian, Arab and African influences. Meet the fisherman to see the catch of the day and cook together with local women and children. 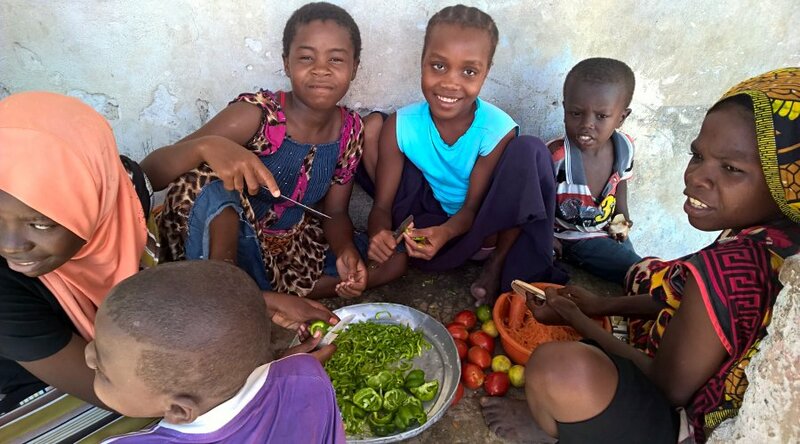 They will teach you how to cook the traditional festive dish “biryani” while you learn more about the friendly Zanzibaris and their lifestyle. Go for shopping at a food and spice market and bring your goods to the Swahili cooking lesson to turn the unfamiliar ingredients into a delicious Swahili meal. Besides these 10 exciting things to do and undiscovered places to visit, there are many more must-sees and must-does we can recommend. Inspire yourself with this Tanzania & Zanzibar safari. Or contact us now for a private safari with beach extension, completely tailored to your wishes!